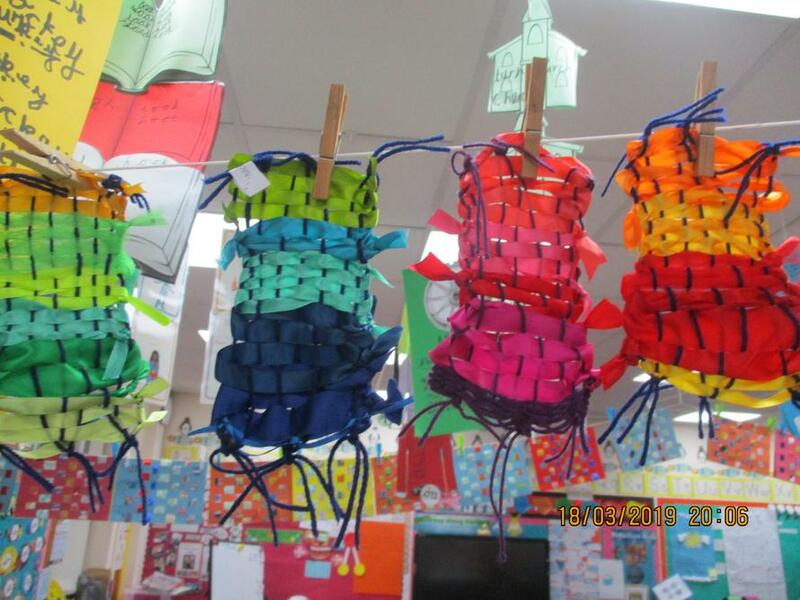 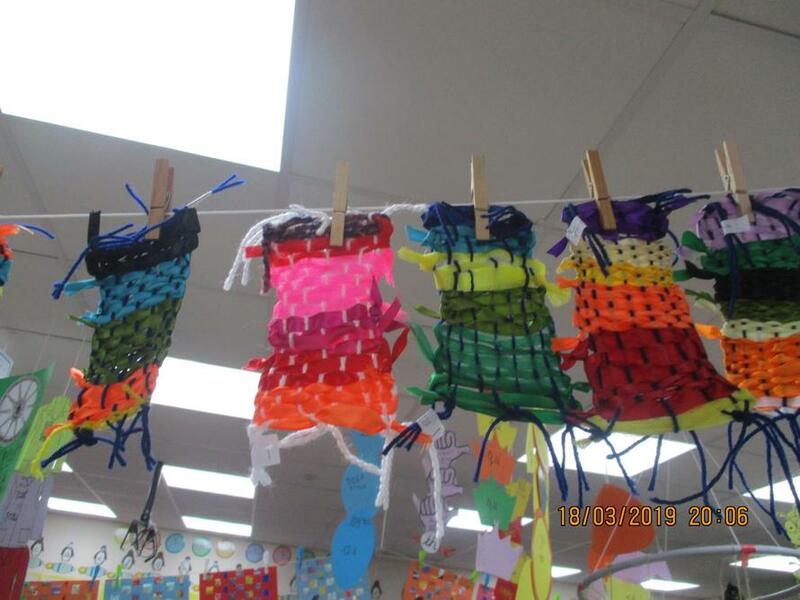 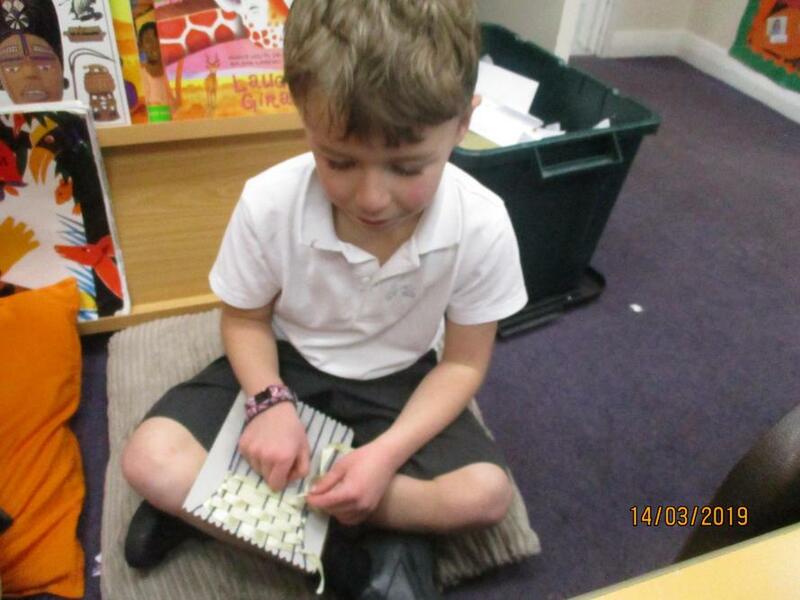 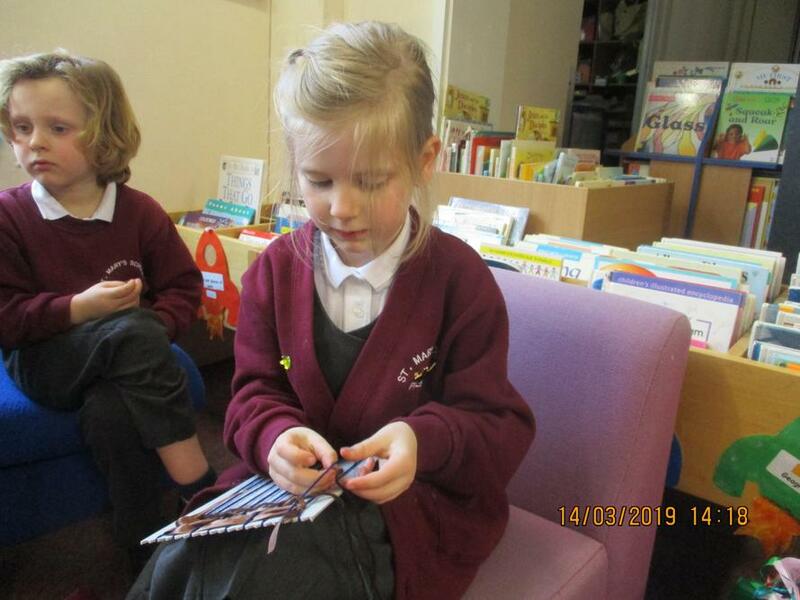 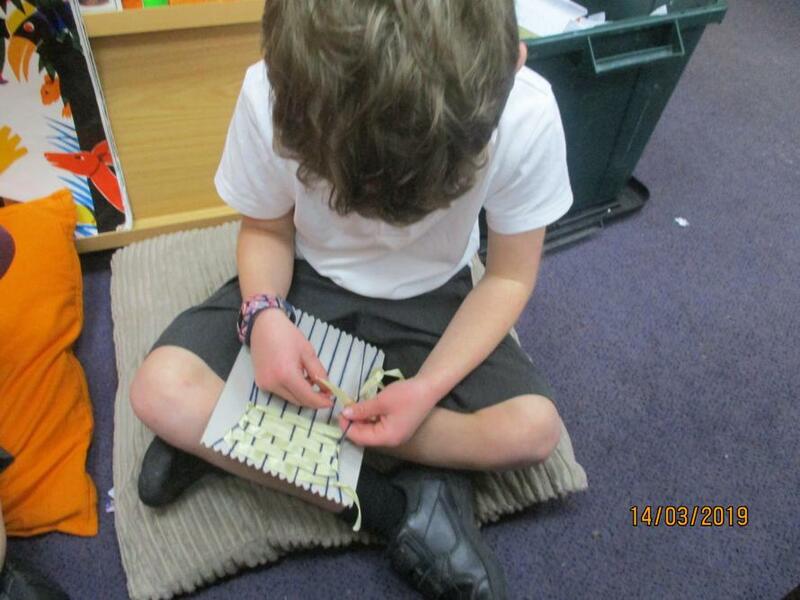 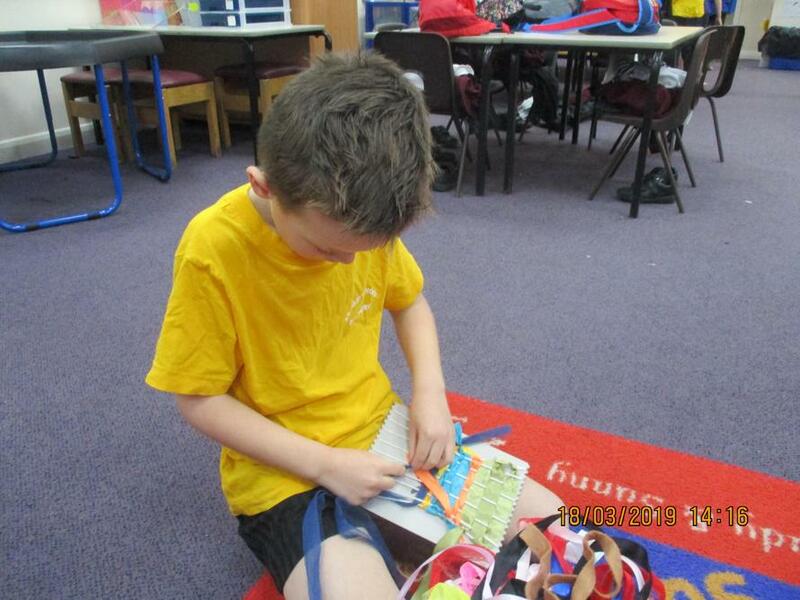 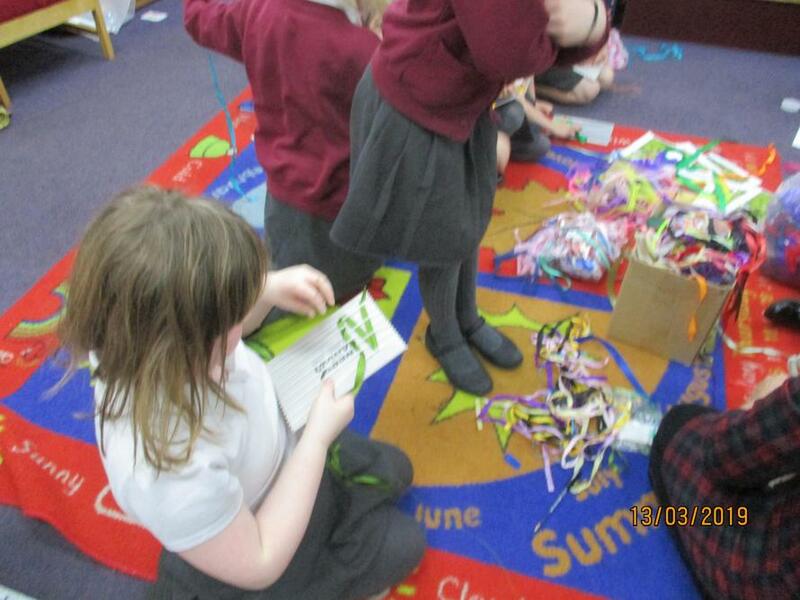 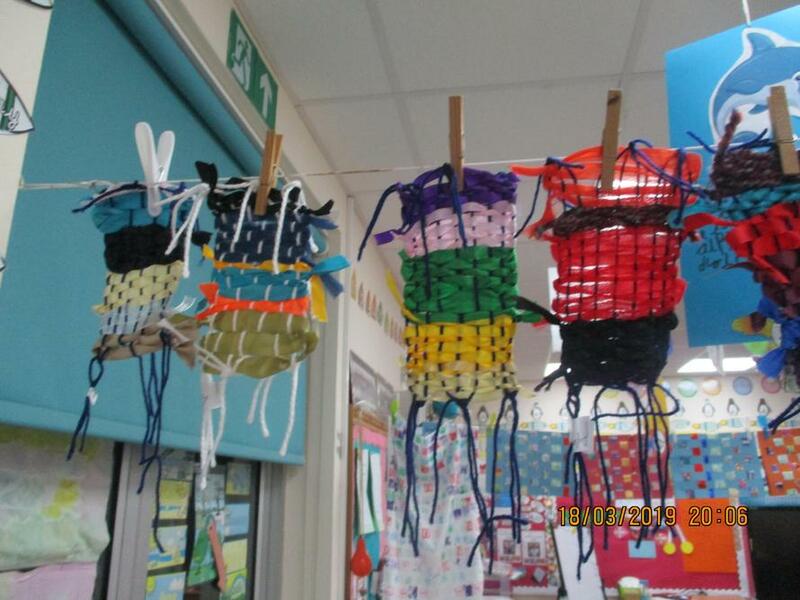 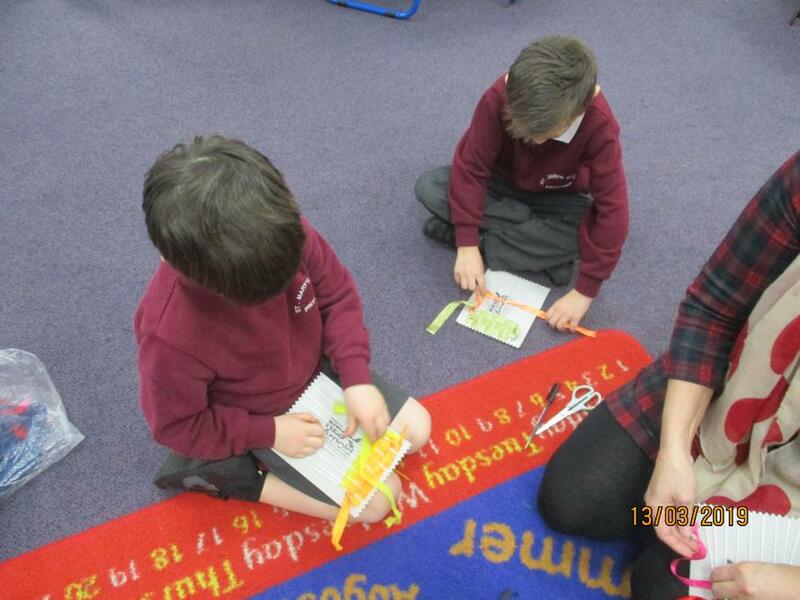 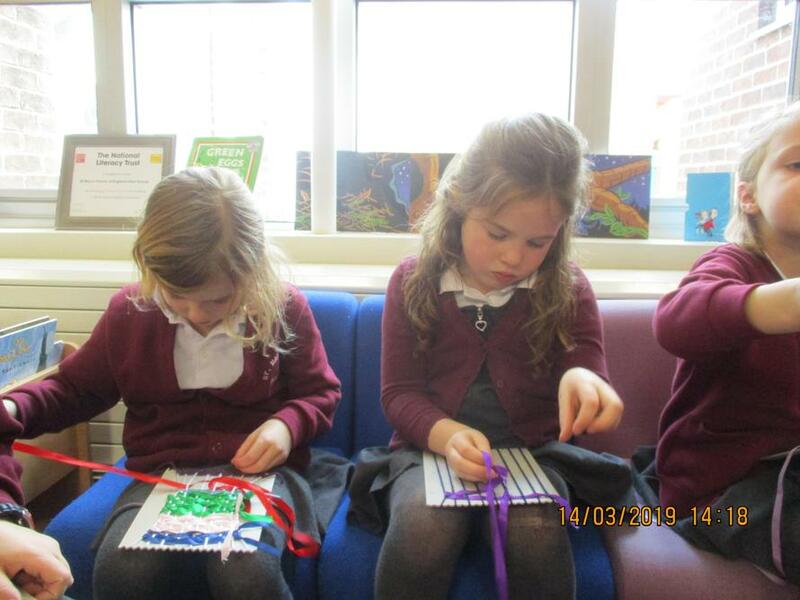 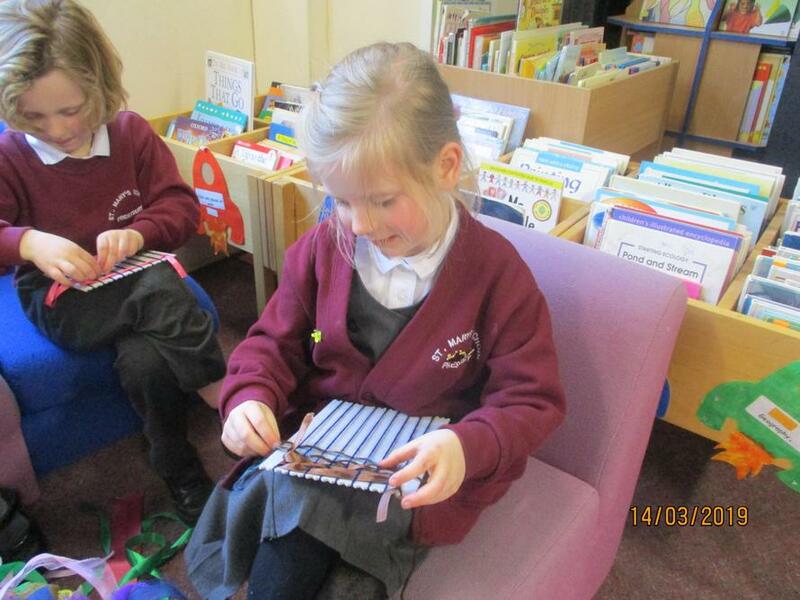 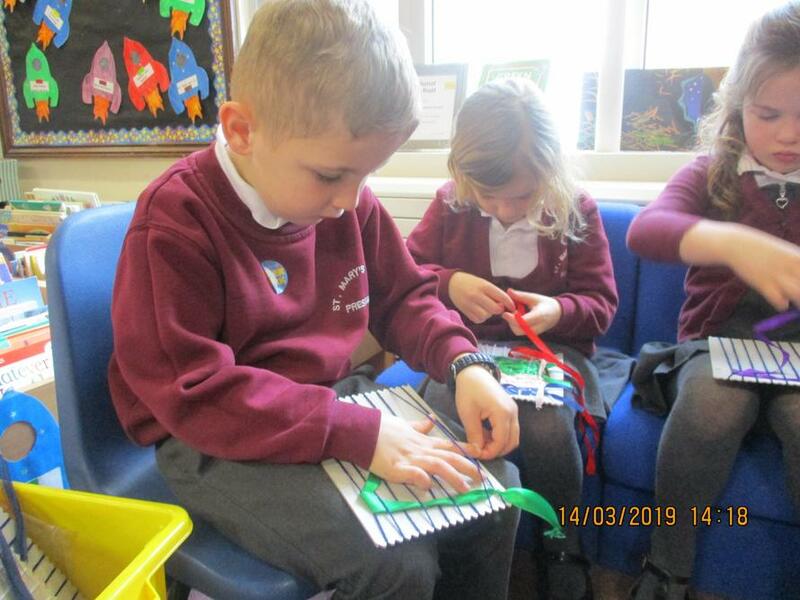 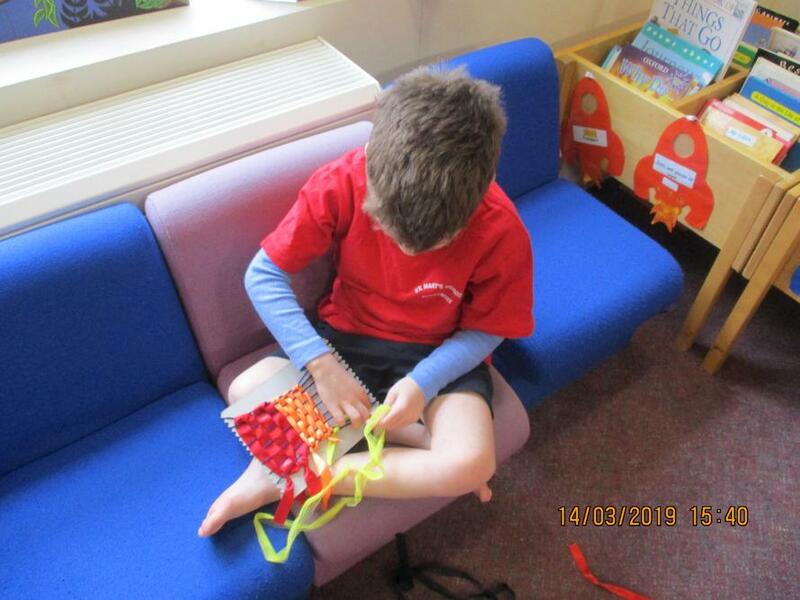 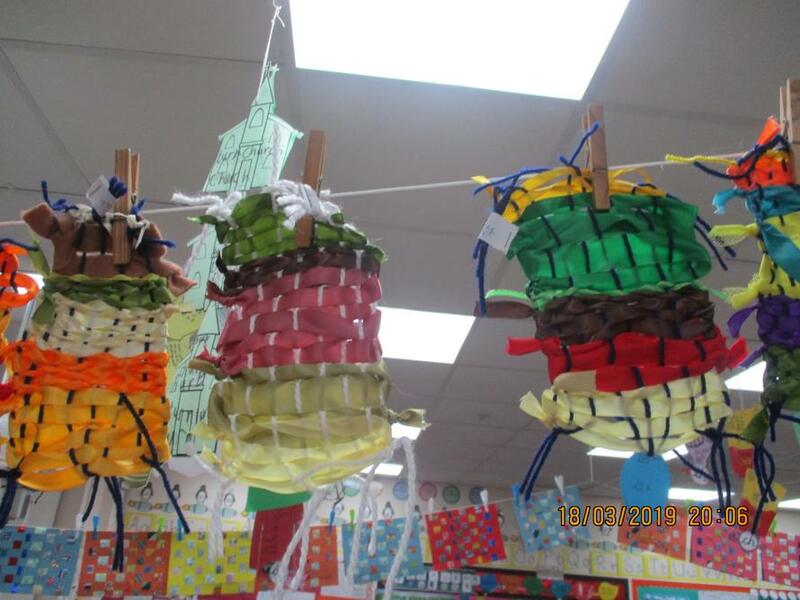 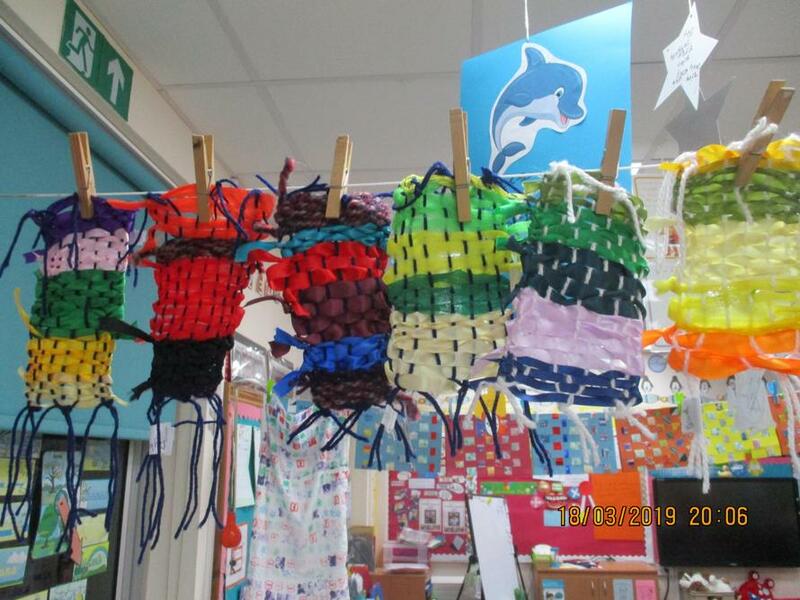 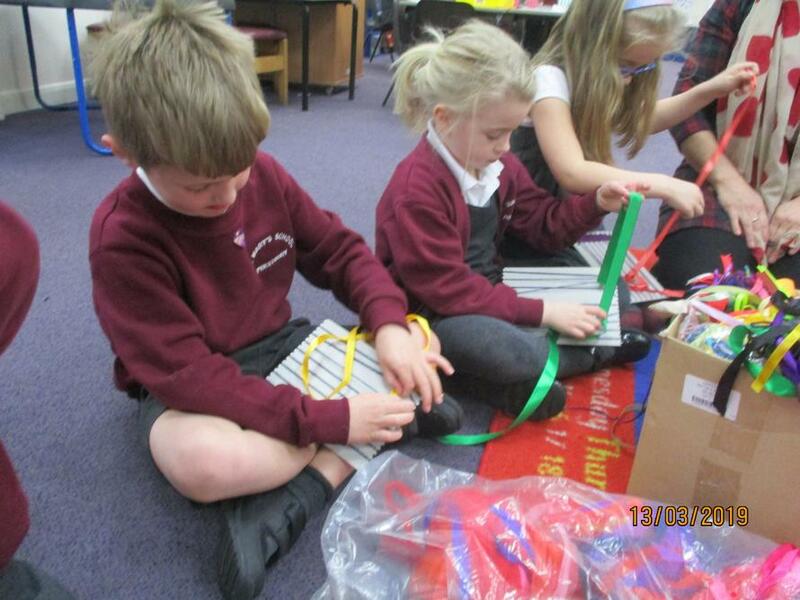 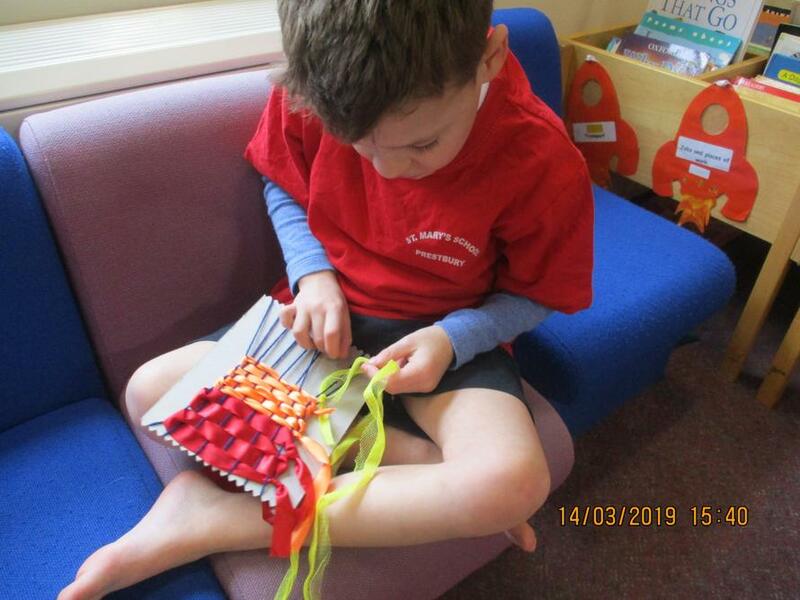 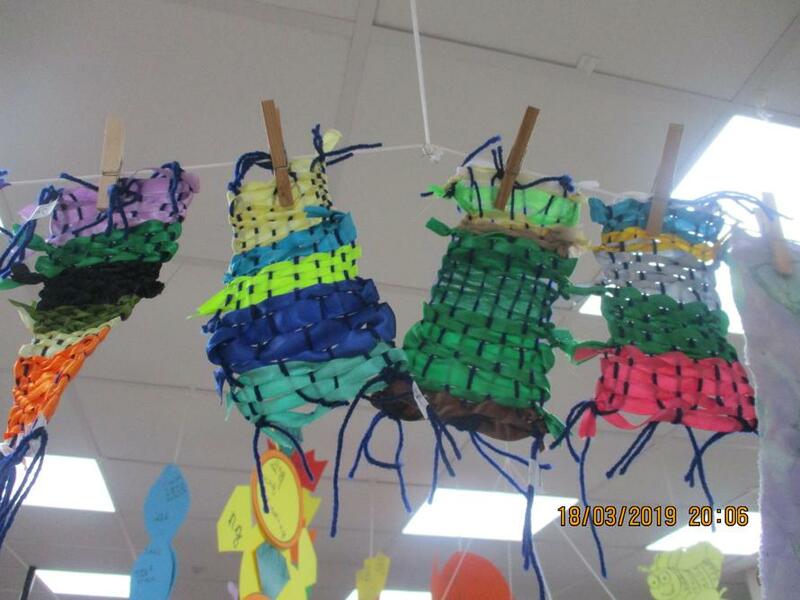 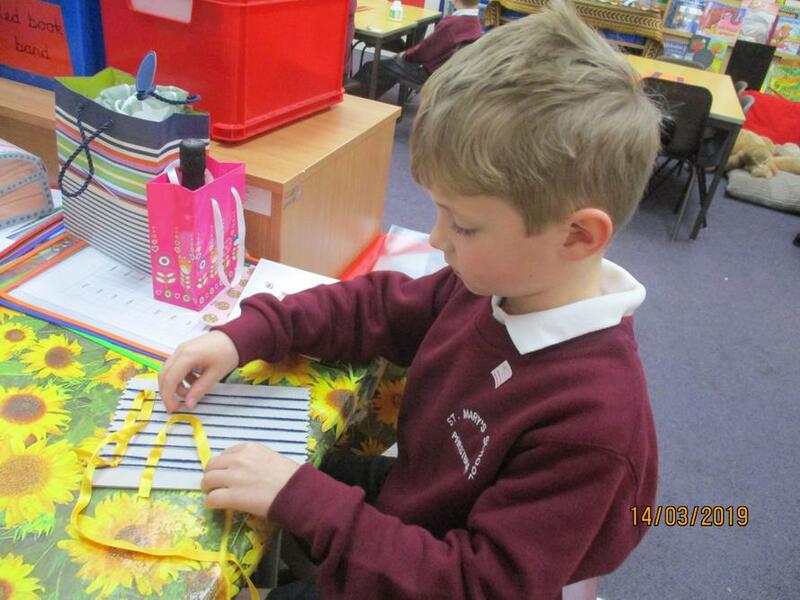 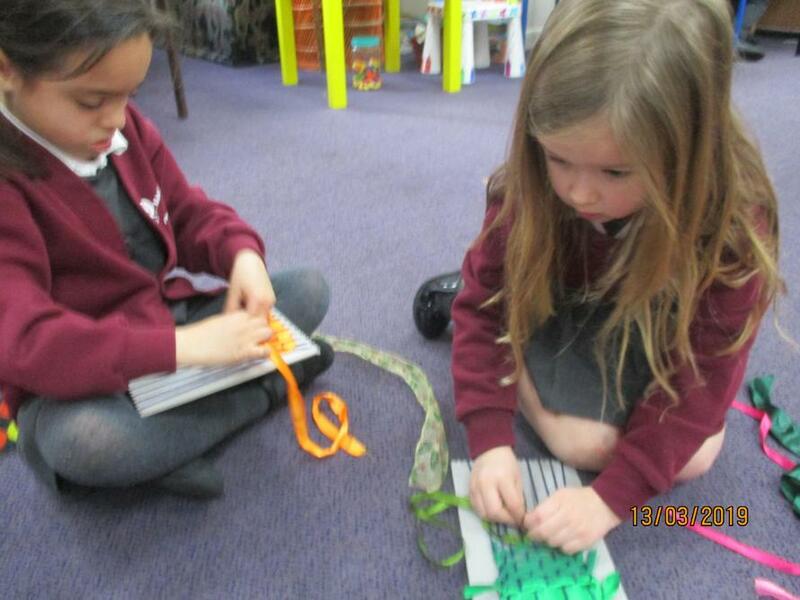 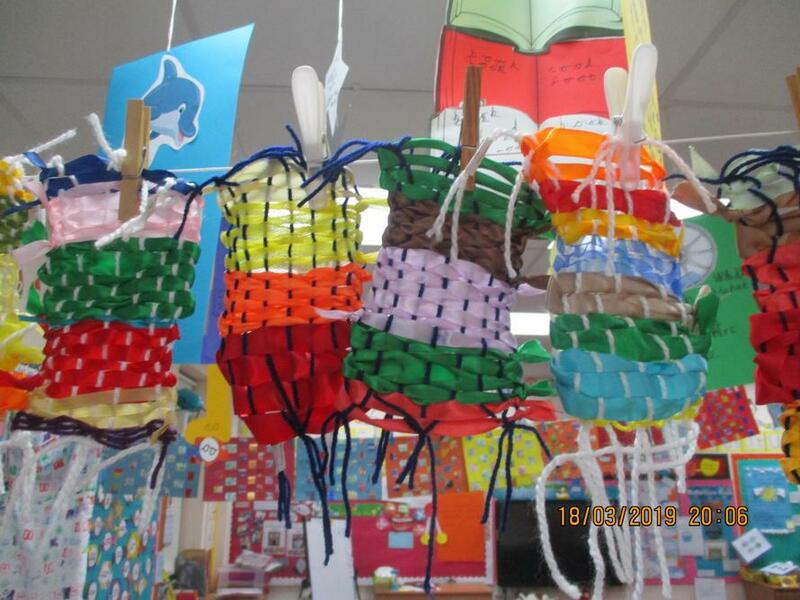 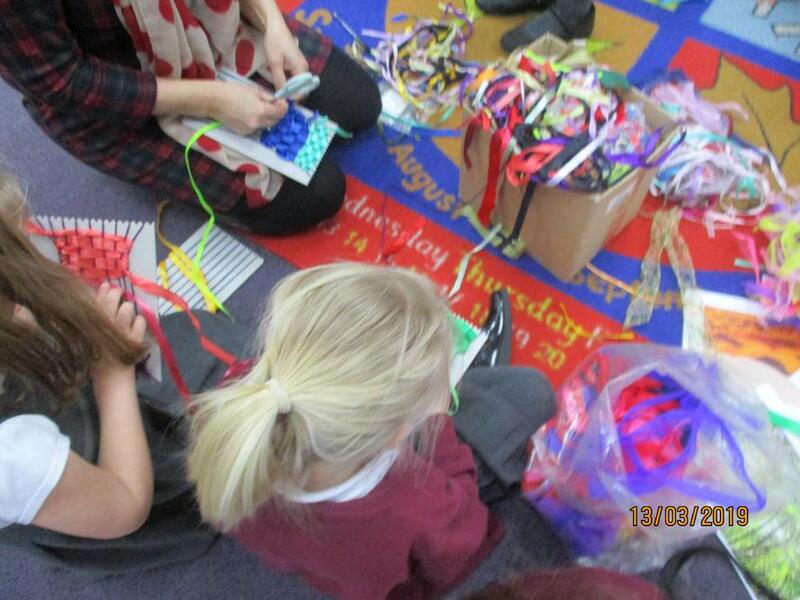 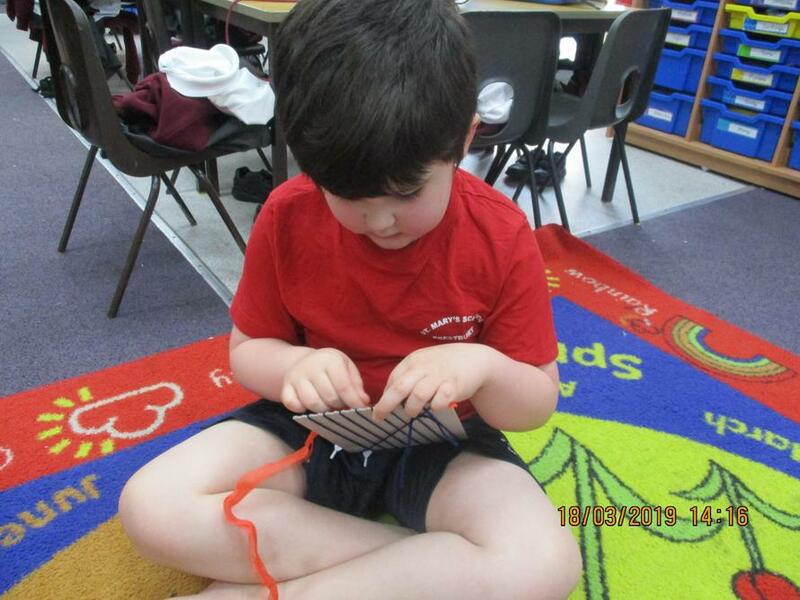 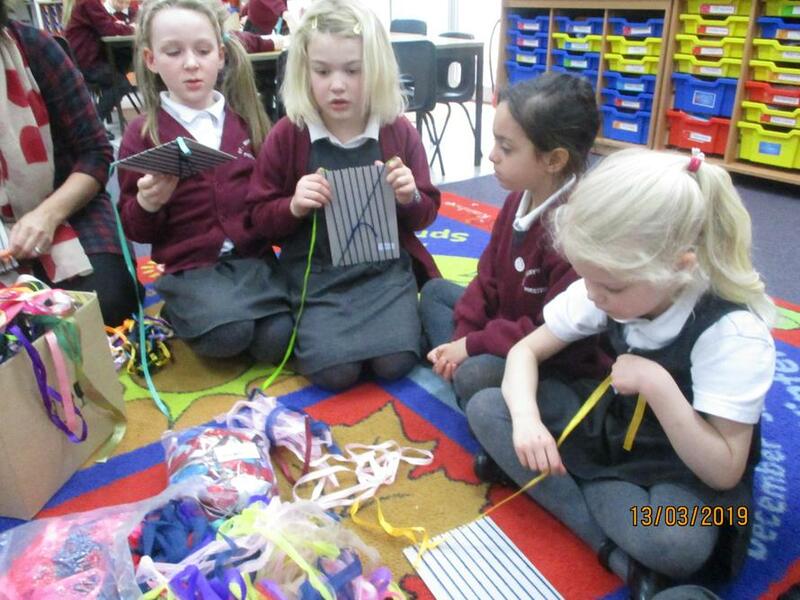 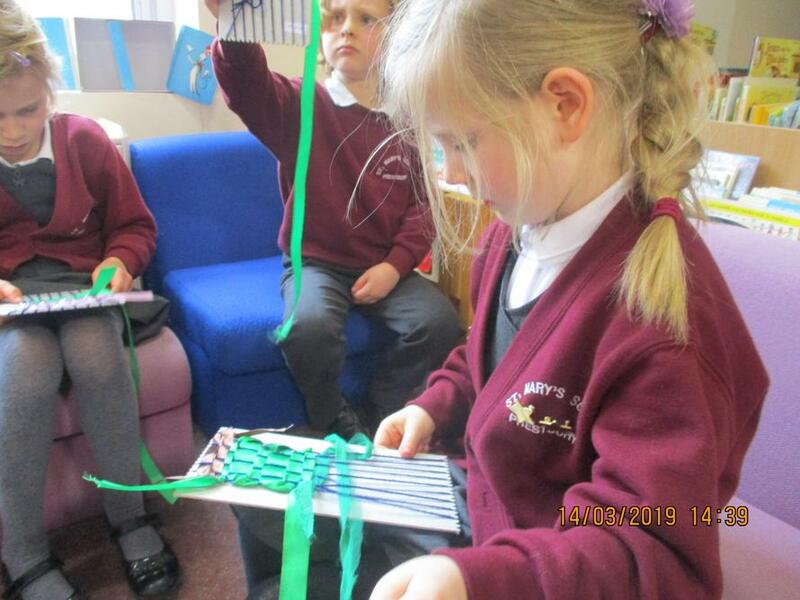 We have been weaving using different materials. 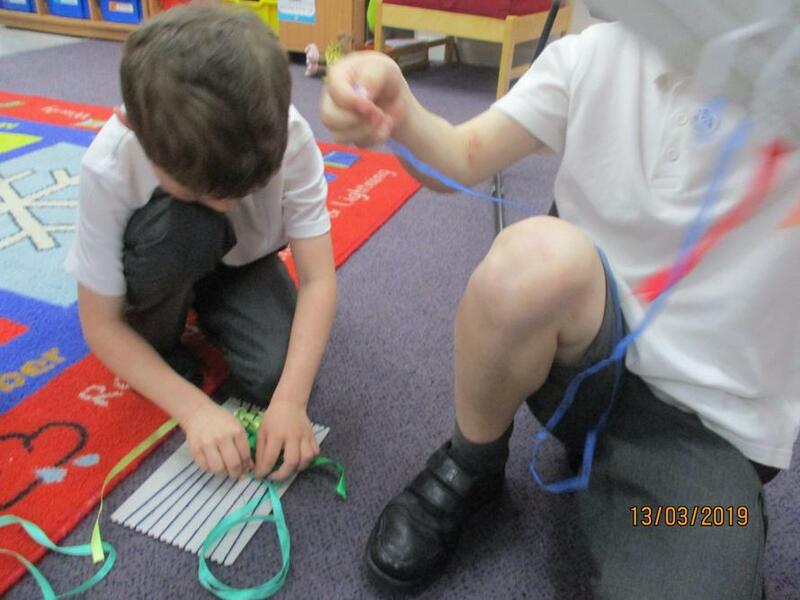 It was quite tricky but we persevered. 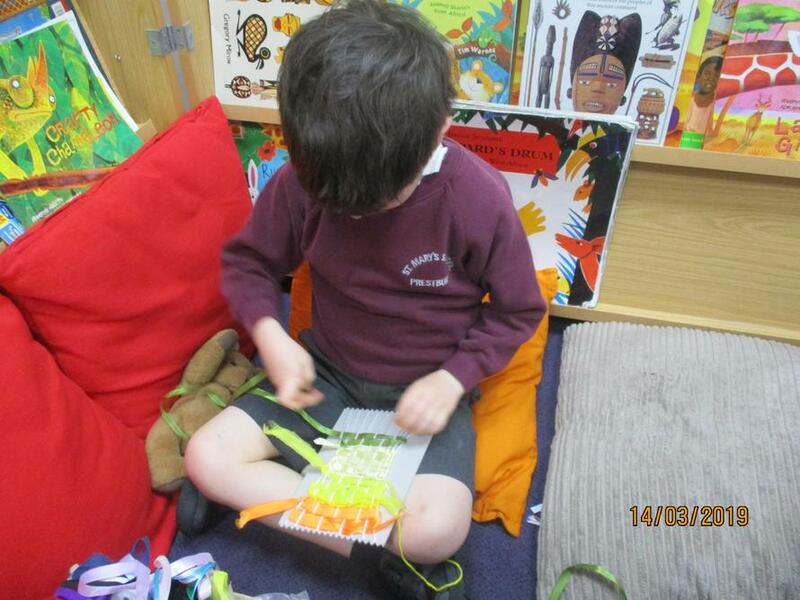 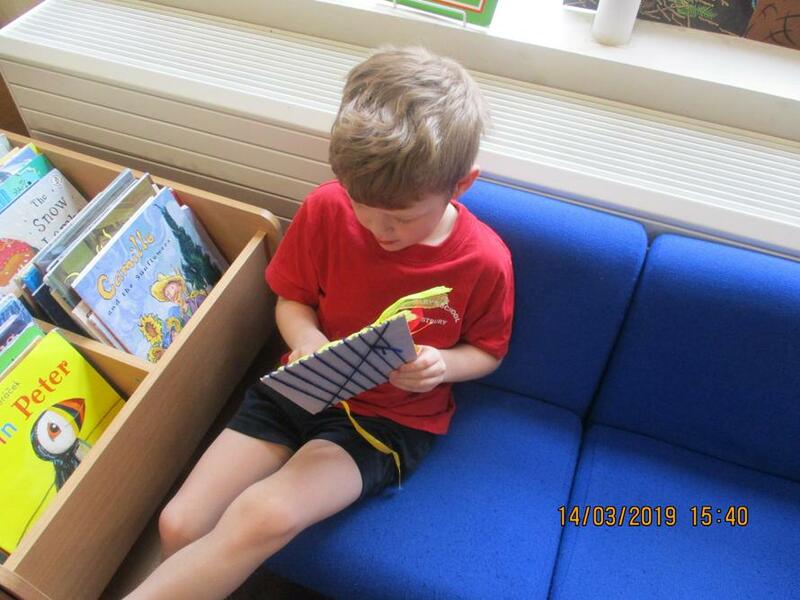 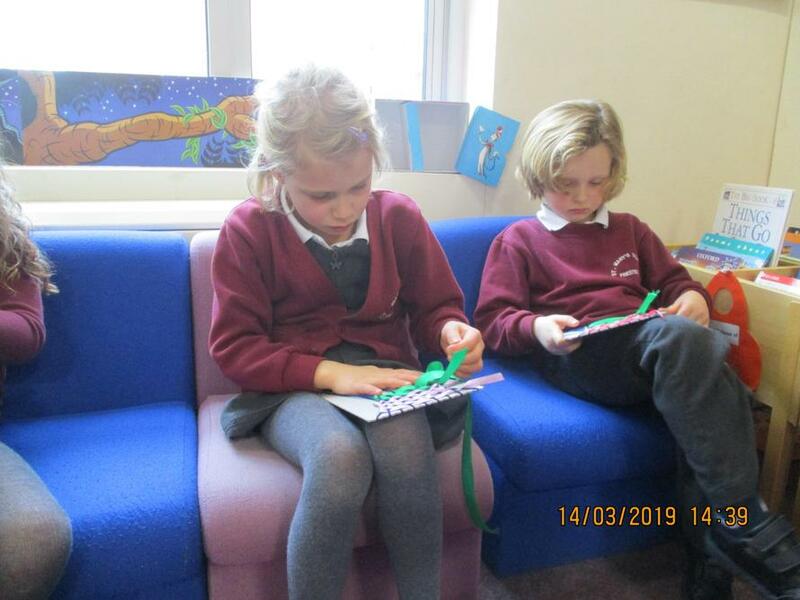 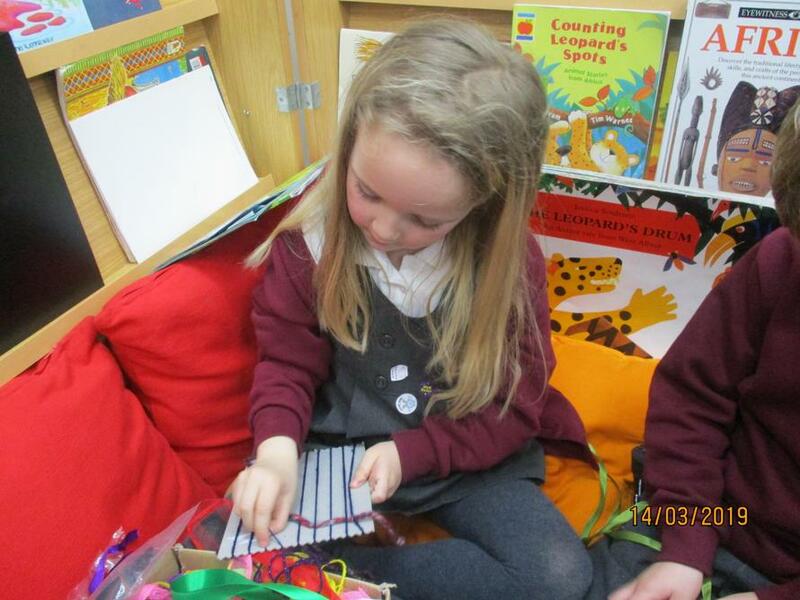 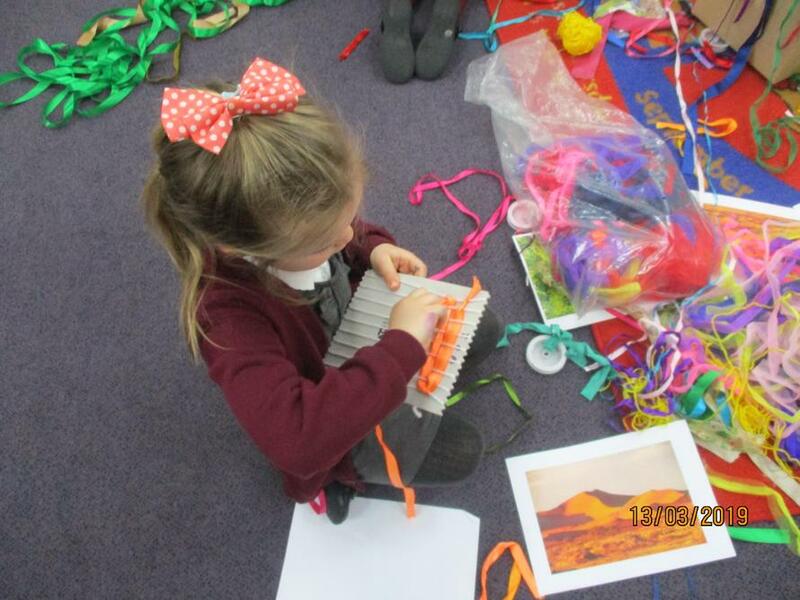 We looked at an African picture and chose the coloured ribbon to match it.